What are you waiting for, Book now! Saslong Rooms, italian style and Smart! Saslong Rooms, italian style and Smart! Our comfortable rooms are divided in these categories: Single, Double, Triple, Quadruple and Family Rooms. Our Rooms are luminous and comfortable, rich of comforts and offer you an excellent night of rest and sleep for your Relax! 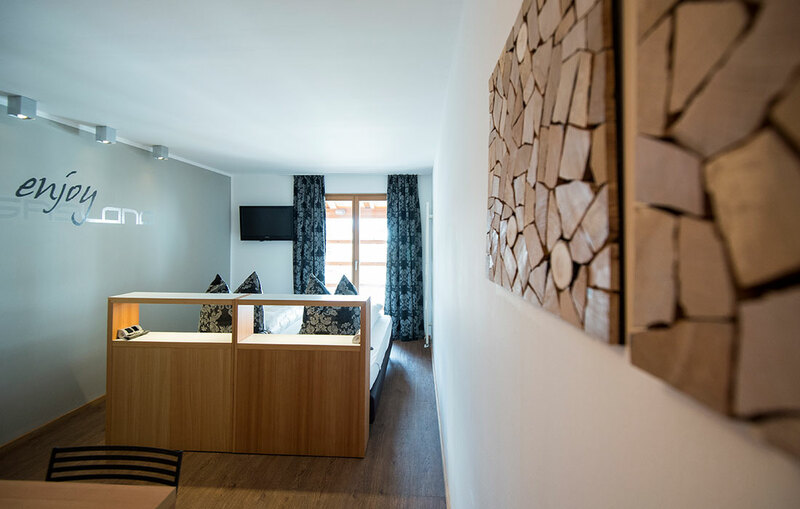 All the Rooms in the Hotel are furnished with larch wood and feature design elements which were specially created by the italian architect and designer Antonio Citterio. 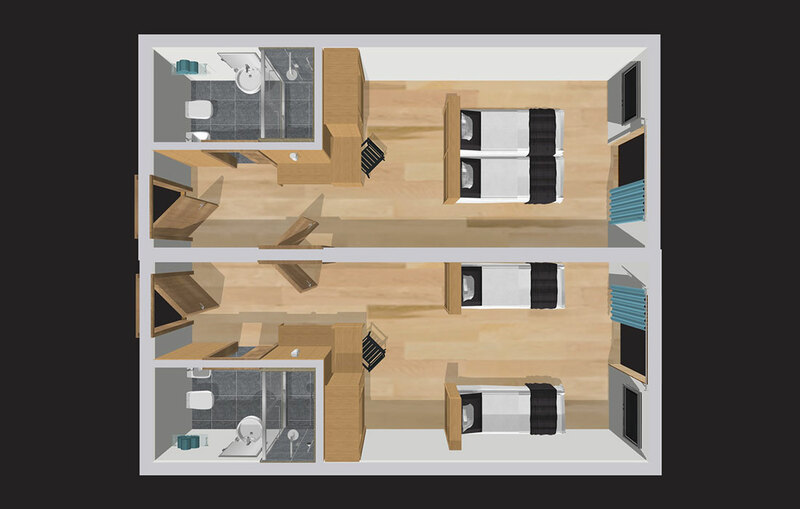 Comfortable double rooms with the possibility to have two single beds. The confort of these Rooms features two comfortable beds (200 x 90 cm) with high quality mattresses, the possibility to fully darken the room, a 32 inches flatscreen television with over 200 Tv and Radio channels, a bathroom with a rain shower with high water pressure (90 x 140 cm). Also the optic fiber internet is completely free with excellent connection in all rooms. The carpet free Rooms give us the possibility to guarantee perfect nights of sleep als to whom suffers from allergies. also the mattresses, pillows and blankets are covered with hypoallergenic encasings to free the beds from all possible allergens. All the rooms are strictly non-Smoking rooms. 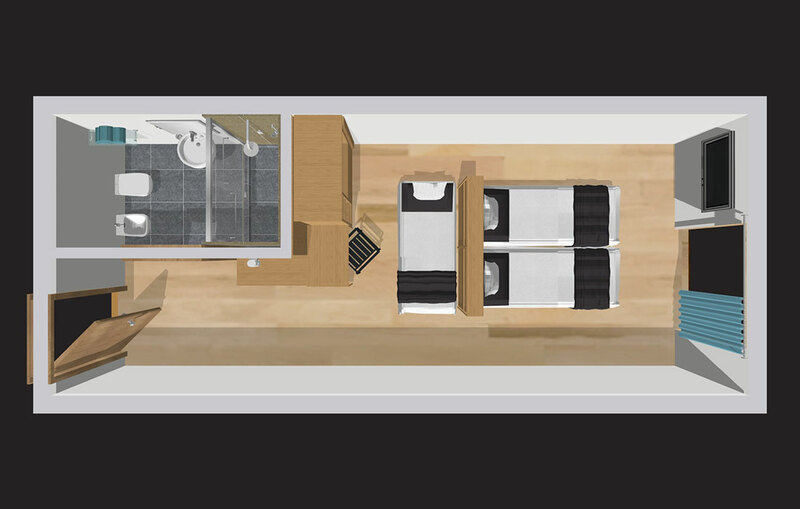 Comfortable triple rooms with the possibility to have two single beds. 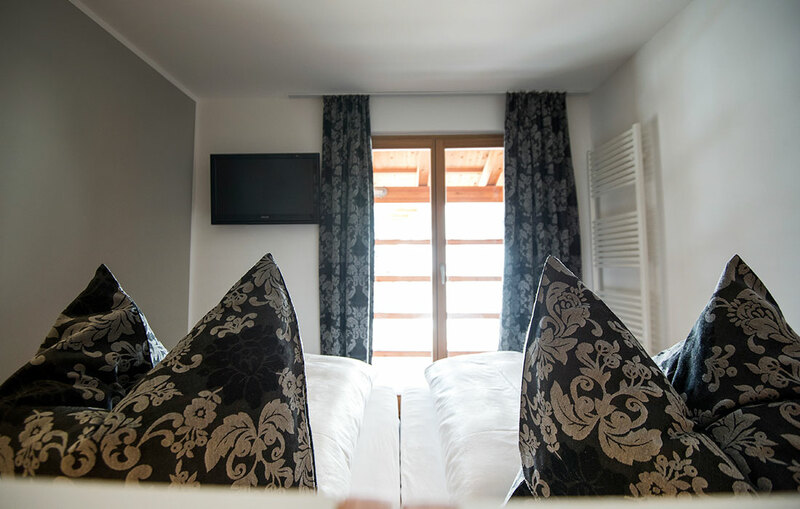 The confort of these Rooms features two comfortable beds (200 x 90 cm) with high quality mattresses, the possibility to fully darken the room, a 32 inches flatscreen television with over 200 Tv and Radio channels, a bathroom with a rain shower with high water pressure (90 x 140 cm). 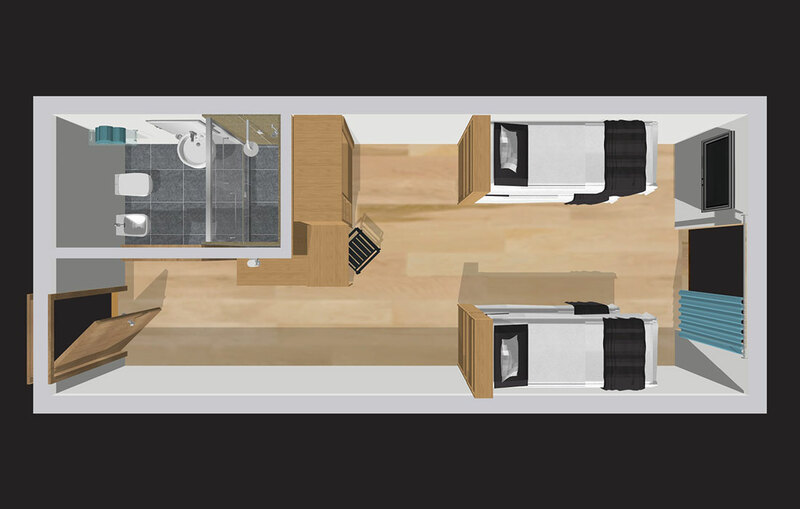 Quadruple Rooms with two bunk beds. 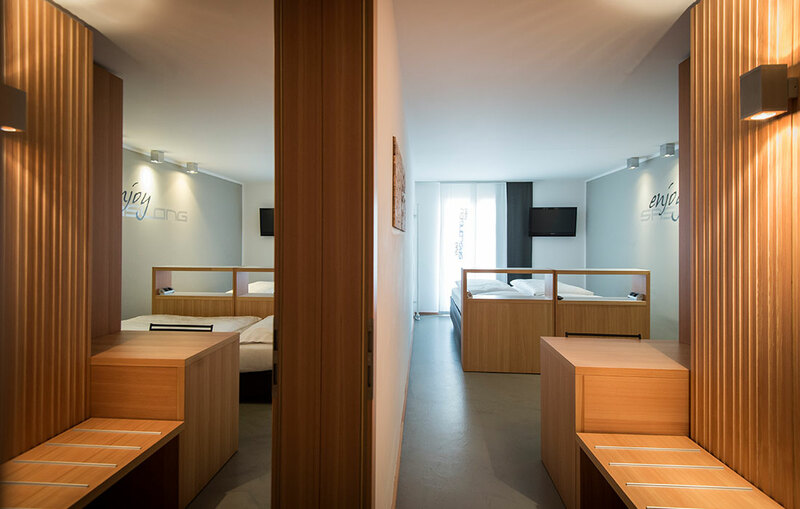 The confort of these Rooms features two comfortable bunk beds (200 x 90 cm) with high quality mattresses, the possibility to fully darken the room, a 32 inches flatscreen television with over 200 Tv and Radio channels, a bathroom with a rain shower with high water pressure (90 x 140 cm). 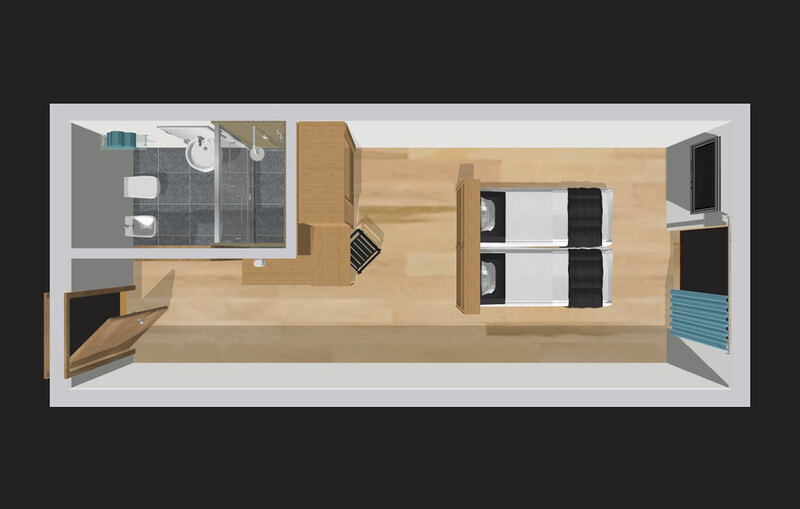 Family Rooms with double, triple and quadruple rooms with autonomous bathroom and communication door, available in every combination. All the beds feature high quality mattresses, the possibility to fully darken the room, a 32 inches flatscreen television with over 200 Tv and Radio channels, a bathroom with a rain shower with high water pressure (90 x 140 cm).